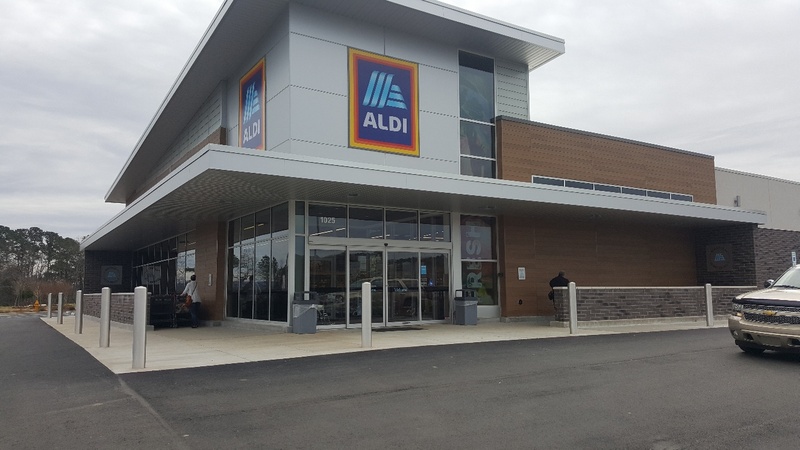 HOOVER — Progress is being made on the new Aldi grocery store on U.S. Highway 11 in Trussville. 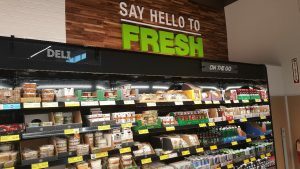 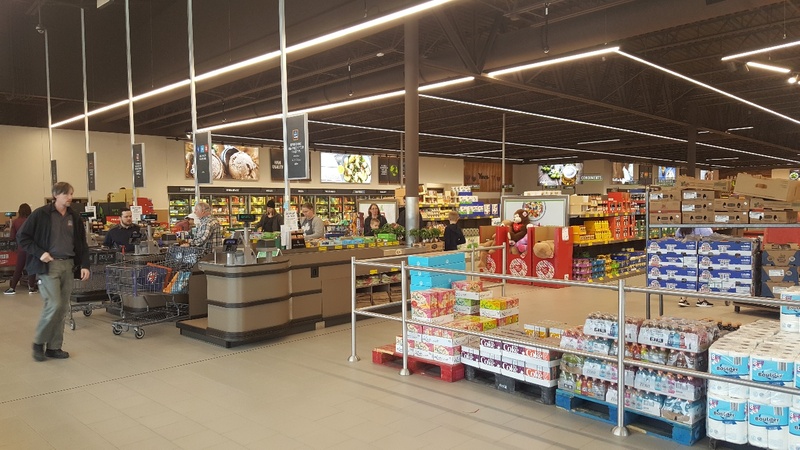 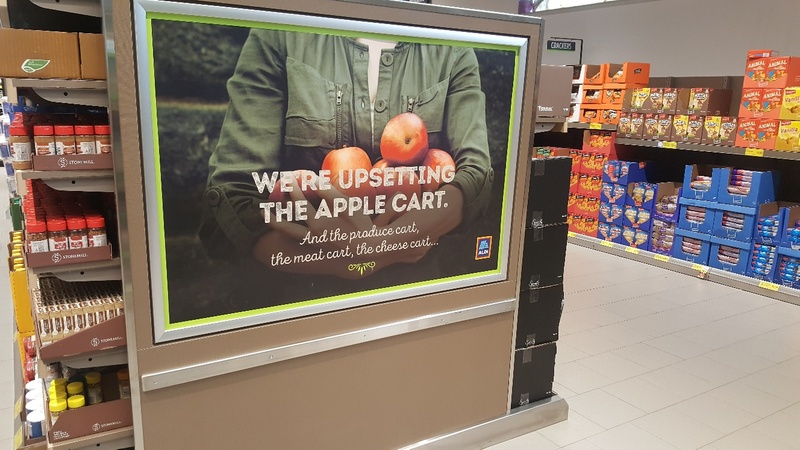 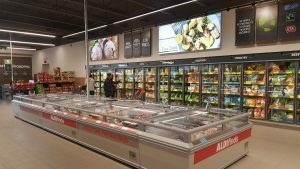 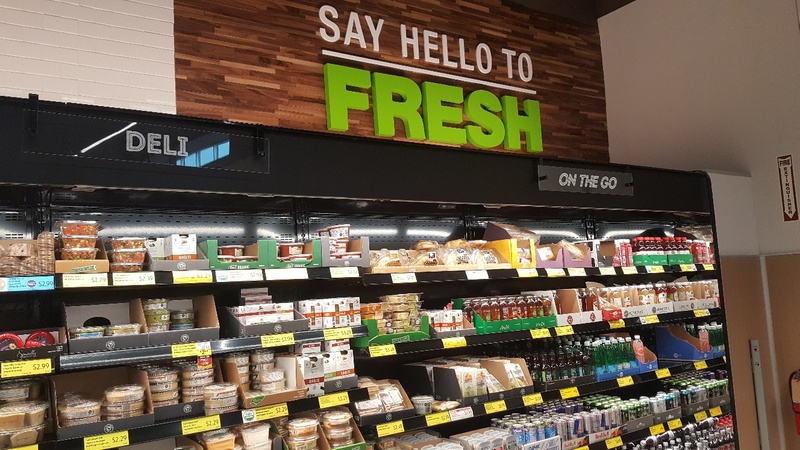 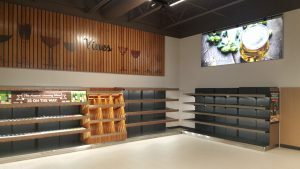 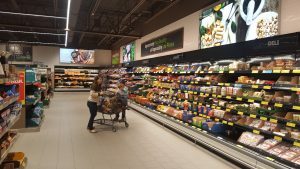 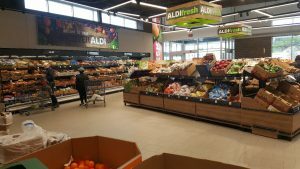 The store will represent the newest Aldi concept and design, which was created to go head-to-head with Whole Foods 365. 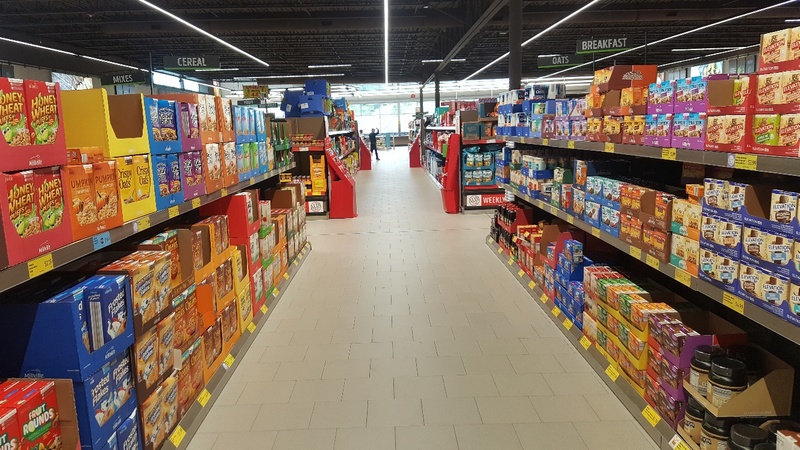 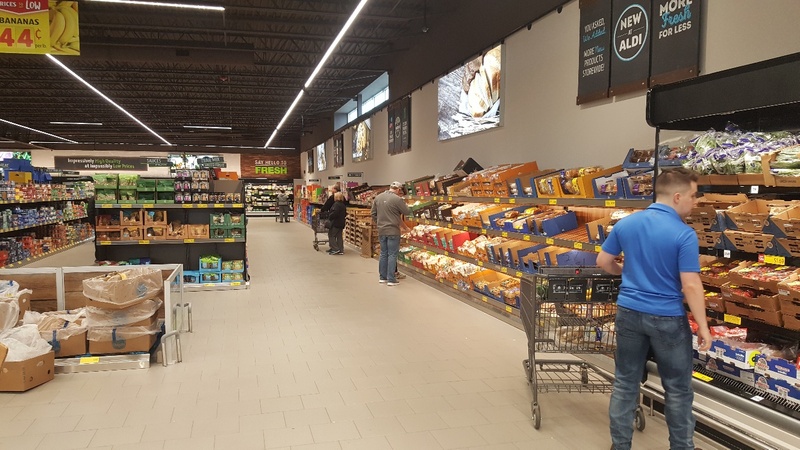 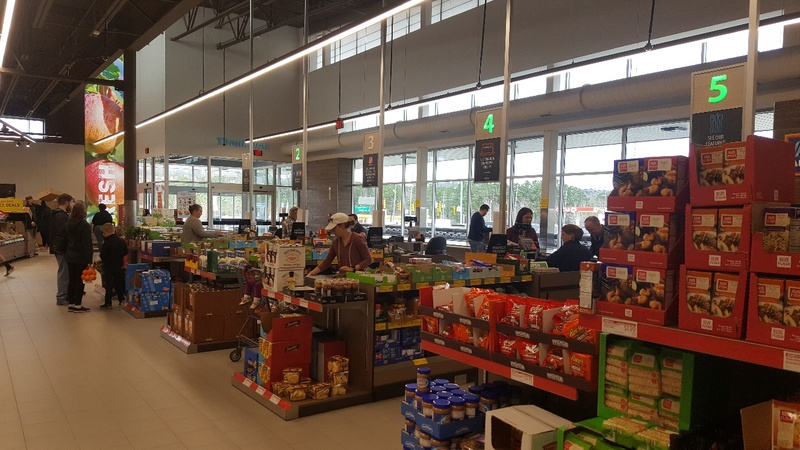 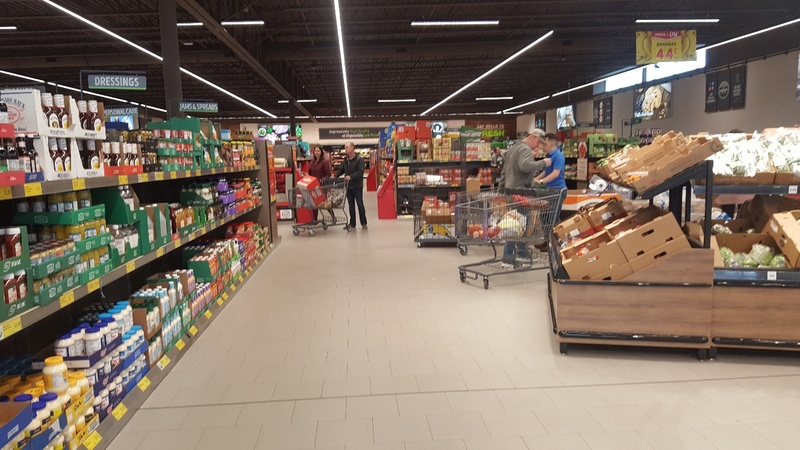 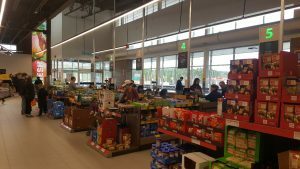 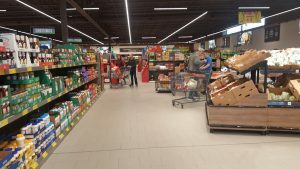 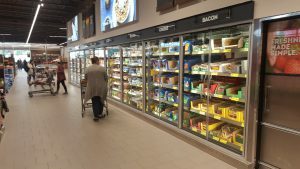 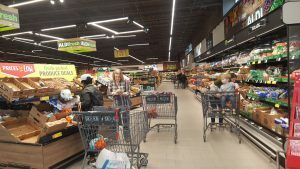 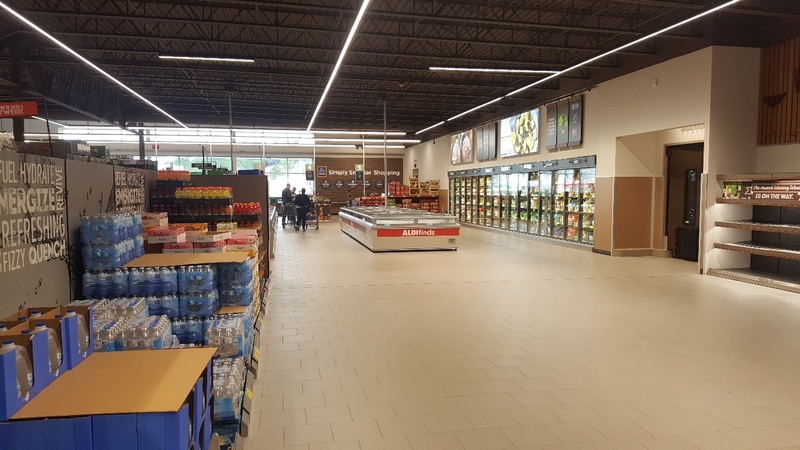 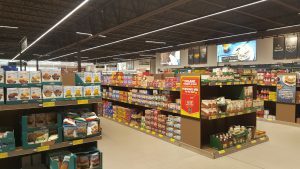 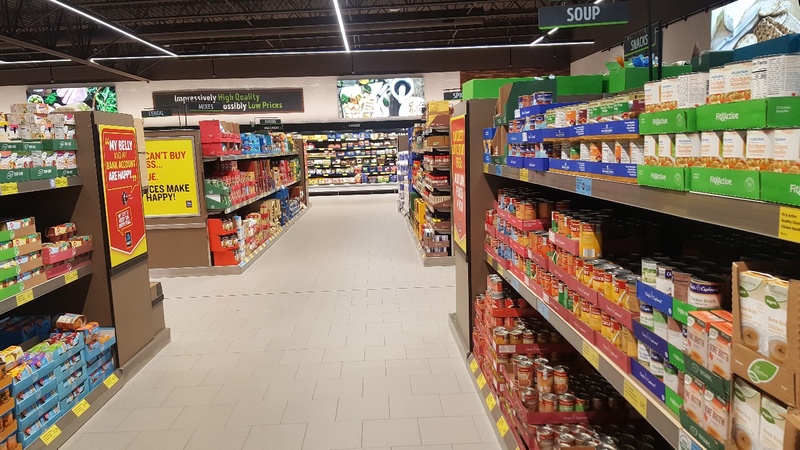 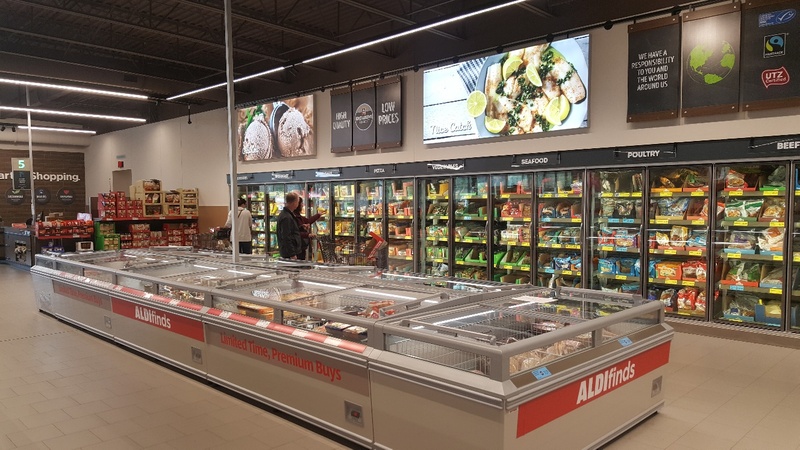 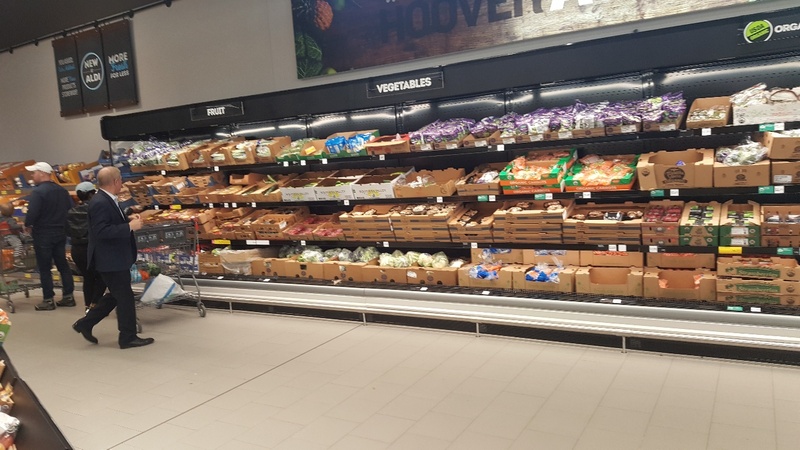 Shoppers in the Trussville area will have to wait a few more months to check out the new design, but consumers in Hoover are already enjoying the new Aldi concept store that recently opened in the Stadium Chase shopping center. 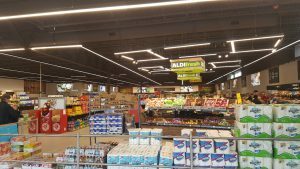 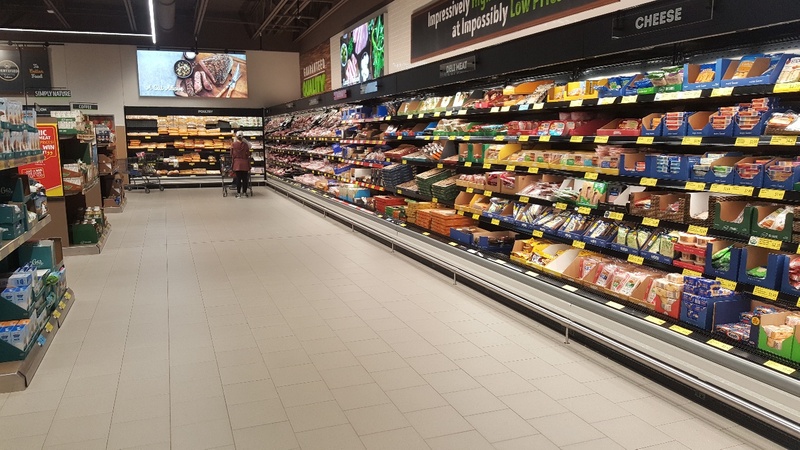 The new store offers wider aisles, expanded inventory, better lighting, and contemporary graphics and signage. 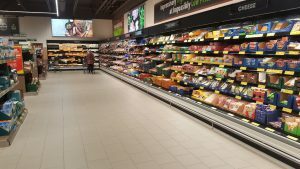 The new concept also includes a larger variety of organic and gluten free products. 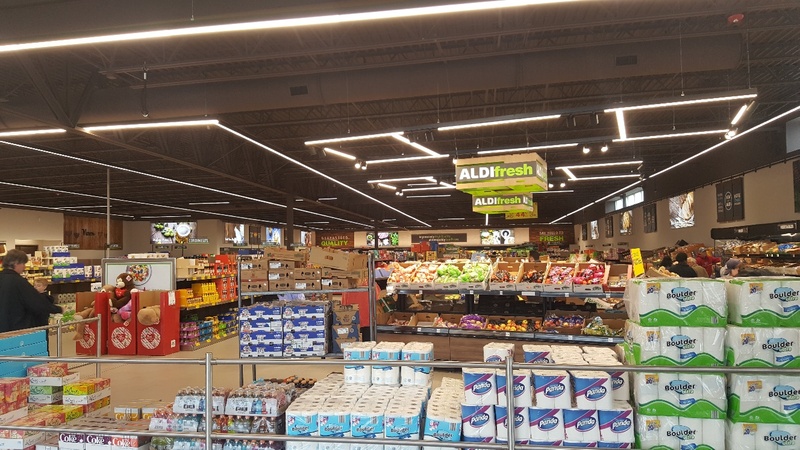 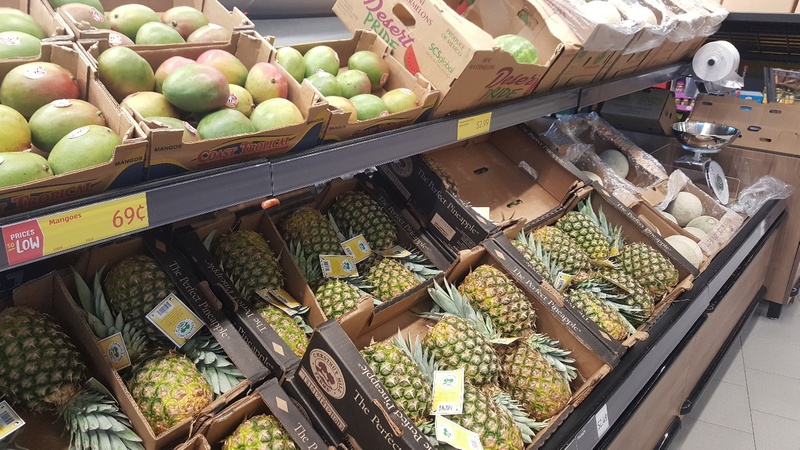 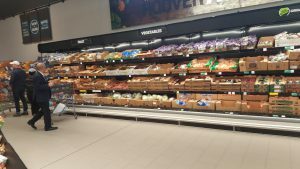 Dairy, meat, bread and produce sections will all be significantly larger than the current Aldi store on Chalkville Mountain Road. 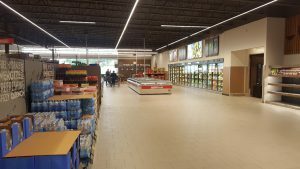 Take a look at the photos below from the Hoover store to get a sneak peek of what’s planned for Trussville.